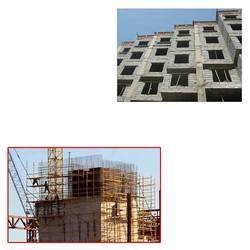 We are a leading manufacturer, supplier and trader of the AAC Wall Block for Building Construction. Our offered products are Autoclaved Aerated Concrete Block, AAC Block, and Lightweight AAC Blocks. We have increased much acknowledgment as eminent manufacturer and suppliers of best in class AAC Wall Block for Building Construction. We present inventive and eco well disposed innovation to utilize the reused fly-powder with fast lime and other quality fixings to deliver unrivaled levels of workability and adaptability in development. The offered AAC wall block are produced utilizing a circulated air through specialists which makes it light in weight and renders the permeable structure. Also, the financial and environment amicable divider squares are open from us in different sizes and shapes at a business sector driving cost. Looking for “AAC Wall Block for Building Construction”?